Music star Timi Dakolo has denied the claim that he stole veteran artist Majek Fashek’s song. Majek Fashek had told Saturday Beats recently that Dakolo stole his evergreen hit, Send Down the Rain. “He broke the rules of copyright. 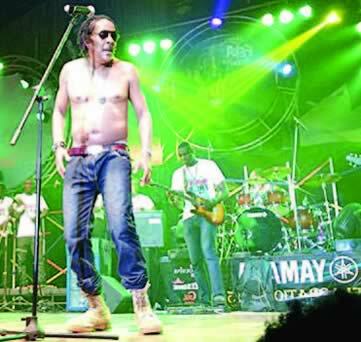 He is a thief because in music business, he must take permission before he works on someone’s song,” Fashek had said. But Dakolo, who had done a remix of the song in 2013, said he got permission for that. “My people, it saddens me to see such. I always try to do things rightly and lawfully,” Dakolo, who is also a judge onThe Voice Nigeria, said in an Instagram post. “I paid his manager to remake the song, I got my invoice, I even mentioned to him during our rehearsals at the Headies. So, honestly I don’t understand this write-up.